BARCELONA – February 22, 2016 – Today at GSMA Mobile World Congress, Cisco announced that it will begin collaborating with Ericsson and Intel to develop and trial what is expected to be the industry’s first 5G (fifth generation mobile networks) router. As members of the Verizon 5G Technology Forum, Cisco, Ericsson and Intel are partnering with Verizon within an ecosystem to accelerate the pace of critical 5G innovations. The companies expect the next-generation 5G router to enable business and residential customers to achieve significantly faster networking speeds, lower latency, and the ability to handle exponentially more Internet-connected devices. This advancement is intended to help accommodate the expected explosion of the Internet of Everything, and the streaming of high-definition video content. This collaboration of industry leaders and 5G pioneers will help to enable secure, ultra-high speed wireless bandwidth. 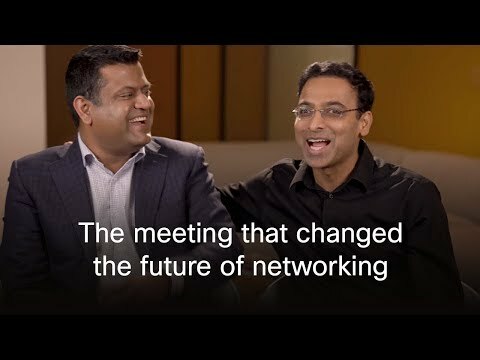 The solution will offer Gigabit-per-second speeds by combining Cisco’s enterprise networking innovations with Ericsson’s advanced 5G mobile networking technology and Intel’s next-generation 5G silicon. Today’s announcement reinforces how industry collaboration will foster innovation in 5G via end-to-end technology development and trials. It also advances the next-generation strategic partnership between Ericsson and Cisco to create the networks of the future, which was announced in November 2015. For this project, that partnership will be further enhanced by Intel’s contribution of 5G modem and device technology. According to the Cisco Visual Networking Index™ (VNI) Global Mobile Data Traffic Forecast (2015 to 2020), released earlier this month, the surge in mobile users, smart devices and machine-to-machine (M2M) connections is expected to increase mobile data traffic eight-fold over the next five years. Mobile video will have the highest growth rate of any mobile application, according to the forecast. A new generation of robust, high performance wireless networks will be critical in facilitating this growth, and 5G networks will be instrumental in helping the industry develop a new economic model for offering new services for digital business transformation – the rapid and escalating value derived from the interconnectivity of people, processes, data and things. “Collaboration among industry leaders in mobile, computing, and networking is critical to drive innovation and make 5G a reality,” said Asha Keddy, vice president and general manager of Intel’s Next Generation and Standards Group. (NASDAQ: CSCO) is the worldwide leader in IT that helps companies seize the opportunities of tomorrow by proving that amazing things can happen when you connect the previously unconnected. For ongoing news, please go to http://newsroom.cisco.com.